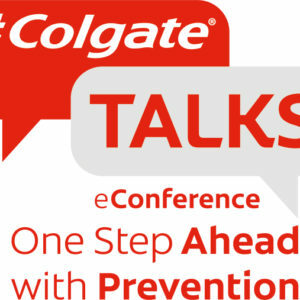 The #ColgateTalks 2016 online conference provided numerous ideas and resources on how to empower patients, including communication techniques to help facilitate behavioural change and improve patient adherence to the dental team’s recommendations. The #ColgateTalks annual online conference – Empower Patients – A European Perspective for the 21st Century took place on October 22nd and attracted more than 2,500 participants from across Europe. The speakers highlighted the benefit of focusing on prevention in dentistry, as well as the positive impact of new patient-centred approaches in oral health. The discussion also confirmed the importance of strengthening the understanding and empathy between dental professionals and their patients to create a partnership of trust and confidence. Follow this link for replays of the conference webinars. Roundtable discussion at the 2016 #ColgateTalks online conference – the advantage of a preventative approach for both patients and the dental office. One of the other key conclusions of the conference was that a healthy mouth was not just a mouth free from disease or pain. A healthy mouth is also able to adapt quickly, easily and resiliently to changes in diet, stress and the aging process. The mouth, as the gateway to the body, provides a strong link between general health and targeted oral health treatment. Thus, the role of the modern dental team is shifting. Dentists and their teams will soon be seen as directly supporting general health, as well as treating and preventing specific oral diseases. More specifically they will be a personal coach to guide patients on how to maintain a healthy mouth in a healthy body. This is achieved by providing individual recommendations on oral healthcare, based on a holistic assessment of each patient’s needs and behaviours, involving the patients right at the beginning of the diagnostic process and taking into account their approaches to life at different stages. 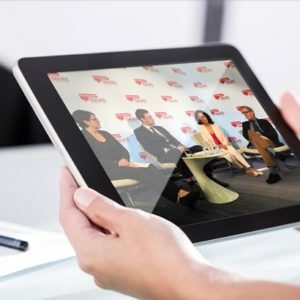 The theme of the online conference was supported by pan-European market research on patient attitudes to oral healthcare, presented by GfK, a leading market research company. The results suggest a strong demand for strengthened dialogue and empathy between dental professionals and patients, who are actively looking for products and services that help them live a healthy lifestyle. The role of the dental team is changing from ‘disease managers’ to personal health coaches. The guiding principle of a preventative and patient centric approach to dental healthcare also needs to be applied to targeted management of dental indications. This was laid out in key presentations on periodontitis, caries management and dentine hypersensitivity. Communication techniques were presented to help facilitate behavioural change and improve patient adherence to recommendations. The initiative of #ColgateTalks has provided the European dental profession with a long-needed interactive platform for the new generation of dental professionals across Europe to exchange ideas and insights on patient-centered themes and new clinical approaches. #ColgateTalks had offered participants a chance to help provide clean water to communities in need by making a donation for every complete conference session watched per delegate. As a result, Colgate will be donating €3,000 to help maintain several Play Pumps in South Africa. A Play Pump provides water by using the boundless energy of children playing. Please see the article ‘Children playing pumps water’ for more information about the play pump initiative and how it comes to life at Badihile Primary School. Posted in Dental life, EduForum and tagged dental team, Empower patients, oral health, patient-centred approaches. Bookmark the permalink.